Co creation is all about people. 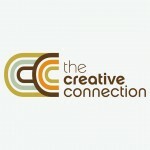 This video was commissioned by Creative Connections for the launch of the Creative Connections website. It is a short visual explanation of how Co creation can be an effective business tool for everyone. Illustrated and directed by Lucy Irving www.lucyirving.com. Animated and edited by myself.